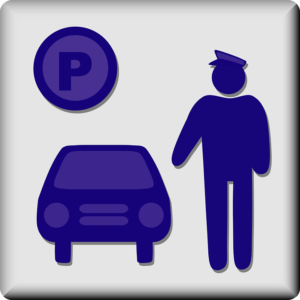 How often have you visited an event or party with valet parking facility? Using a valet service save a lot of time and trouble for sure. And then there is someone looking after the car to ensure its safety, or at least that’s what you believe. But is it really safe to pass your keys to a smiling stranger no matter how professional they look? Well, most valet parking services hire their employees after a strict screening and background check. But in some occasion, your valuables or personal belongings may be at risk. What if you have some important documents in the car? What if a young valet attendant is swayed by your swanky car and decide to take it for a joy ride? We are not saying that using valet services is not safe. Just that you can make it safer and much secure by using a valet key. Most of the latest and top model of cars already come equipped with a valet key. So, what is a valet key? It is an additional manual key designed for valet parking. This key gives you the flexibility to unlock the doors and start the vehicle but doesn’t work on the trunk and glove compartment. So, the valet parking in charge can drive the car but cannot access personal spaces. In some high-end cars, these keys are also designed to restrict your car’s power output. This prevents the attendant to take it out for a joyride. Moreover, this key doesn’t need a complicated installation or operation and comes in handy in case you lose your main key. Make sure you are handing over the valet keys and not the entire bunch of keys. And it is a good idea never to keep luxury and expensive items in your car, irrespective of whether you are using valet keys or not. Laptops and expensive cameras in your car make it attractive for a thief to break-in. The process of using a valet key depends on the model and brand of your car. However, the principle steps remain almost the same. Usually, the valet key is handed over with the vehicle or is inside its manual. Sometimes it is also inside a specific part of the glove or storage chamber. Just refer to the user manual or search on the company page to find the particular spot. Once you have the valet key in possession, open the storage compartment and place all your belongings into it. Now, press the button to turn on the valet parking mode. Most of the time this button is on the dashboard near the storage glove box. After the valet mode is on, close the storage compartment, lock it and there you go. You can handover this grey key to valet attendant without worrying about your valuable possessions. Need valet key cutting and programming services in Racine? Call Racine’s Lock and Key at (262) 509-0366. Our licensed and insured auto locksmith in Racine can help with all your car’s keys and lock needs. In addition to valet keys, we also offer transponder keys replacement and programming, laser keys cutting, ignition repair and replacement and car lock out services. We are fast, mobile and come to your location to provide timely roadside assistance.